KLAW is the only source in the world for the original Breakaway Coupling Flip-Flap Valve design. With 1000s of units in service worldwide, the KLAW Safety Breakaway Coupling has been proven over many years to deliver reliable product transfer protection in the most demanding of circumstances and locations. 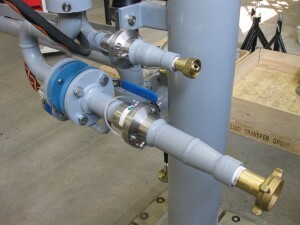 This KLAW Flip-Flap valve provides minimum headloss; allowing for fast and efficient product transfer. This KLAW design eliminates the potentially hazardous scenario called ‘Partial Break’, that can be experienced with low technology poppet valve designed products. 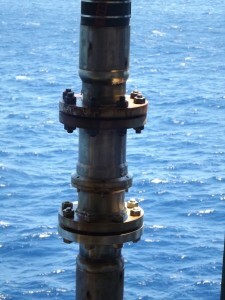 Partial Break is when the coupling has partially parted but not fully separated. This is due to the applied force being prematurely removed (e.g. an operator beginning to move a vehicle and then realising they have not disconnected, therefore stopping). 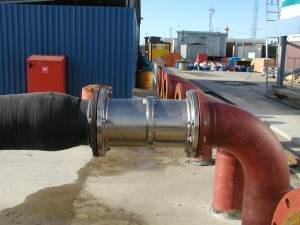 The KLAW unit ensures that under no circumstances can the seal between the two coupling body halves open to the atmosphere, before the internal flap valves have been released. 100% shut off is always instantly achieved. The Flip-Flap valve design was awarded Lloyds Type Approval, specifically highlighting this important and unique design feature. The KLAW Breakaway Coupling minimises risk of spill for a wide variety of applications.